We now conclude our reread of Harry Potter and the Chamber of Secrets with chapters 16-18, in which the most powerful, most evil wizard in the world is defeated by a pre-teen. Again. We’re back after a brief hiatus. 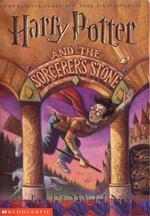 Comment here on chapters 16 and17 of Harry Potter and the Philosopher’s/Sorcerer’s Stone, in which Harry and company learn, for the first time, that Voldemort’s favorite time to attack is finals week. 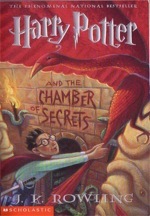 Chapters 6-10 of Harry Potter and the Philosopher’s/Sorcerer’s Stone, in which Harry heads off to Hogwarts, meets Ron(!) and Hermione(! ), has an unpleasant encounter with Snape, flies for the first time, and fights a troll. Just like my first week of middle school! Chapters 1-5 of Harry Potter and the Philosopher’s/Sorcerer’s Stone, in which we meet Harry Potter and his unpleasant adoptive family, and Harry meets Hagrid, discovers the hidden truth about his parents, and goes on the greatest birthday shopping spree of all time.